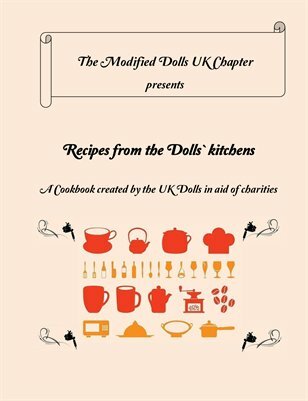 A Cookbook created by the UK Modified Dolls in aid of charities. This recipe collection is made up of everyday easy made dishes with the flavours of Britain, Ireland, Hungary and Brazil. The meals include vegetarian, vegan and gluten free recipes, and can be enjoyed by kids and grown ups too. Try something new or find your favourite dish with a twist including starters, snacks, soups, mains, desserts and cocktails.